WB has dropped a deleted scene from Batman V Superman: Dawn of Justice, simply titled Communion, and it sheds light on the ramblings of Lex Luthor at the end of the film. First, let me explain two things, Lex luthor asks General Zod's ship to teach him everything about the known galaxy. The computer does as he requests and begins to teach him everything. 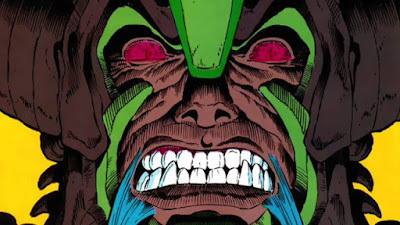 Second when he is learning everything the computer makes it way to explaining the planet Apokolips and its known rulers. This clip shows the computer explaining Apokolips, Darkseid, his father Yuga Khan and Mother Boxes..... If you have no idea what any of that means, Google it.